Thats the bios I installed. there are a number of different uploads of the bios at tech power up. maybe that copy is corrupt? The asus 1070 bios update utility has all the different bios copies for their range of cards that you can extract, the only challenge you have is to work out which one is the OC version. You can go through the config file and it is possible to work it out. 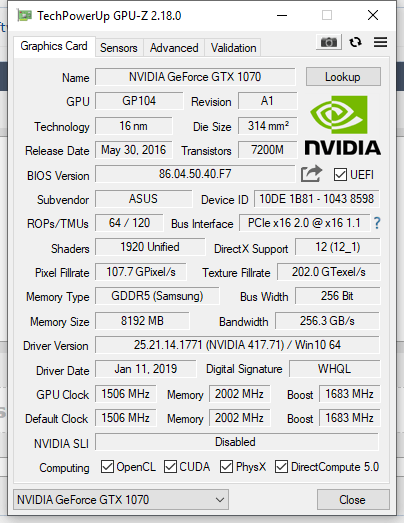 So i just bought an Asus Strix 1070 Gaming, non-oc as far as i know. My first time ever using an Nvidia so lacking in expertise in that area. and from my understanding it's because non-oc vs oc editions, but that it's a software limit rather than a hardware one? Is this correct, and if so, can i just flash it? (Have seen some posts talking about it here, but was quite awhile back so i rather ask and make sure from my standpoint). Last edited by zerowalker; 07-03-2018 at 03:30 AM. Last edited by halvz; 03-05-2019 at 11:13 AM. 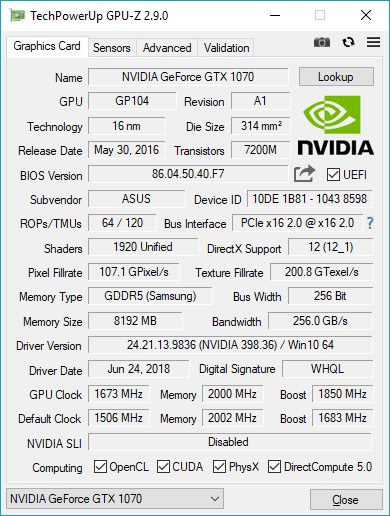 Is it possible to unlock the Power Limit on my GTX 1070? Last edited by zerowalker; 03-22-2019 at 09:01 AM.